There are all sorts of small business tax deductions out there. Some are universal, which means they can be claimed by people in just about any line of work. Others are more specific to your industry, in this case, tax deductions for self-employed hair stylists. What Are Hairdresser Tax Deductions? As you know, you need to pay self-employed hair dresser tax on your income. This is either done quarterly or annually, depending on exactly how your business is structured. The taxes you pay are based on how much you earned, your marital status, and the state in which you operate, among other things. Essentially, the more you make, the more taxes you pay. Tax deductions are a way to reduce your taxable income, so you end up paying less in taxes. If you earn, say, $10,000 in a year, and have $2,000 in deductible expenses, you would only need to pay taxes on $8,000, since the rest of it is considered deductible. 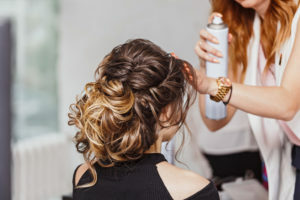 In other words, hair stylist tax deductions are a nice way to save some money on your taxes, which in turn increases the amount of money you get to keep. And while we work with lots of different types of business owners, we haven’t yet met one who’s looking to pay extra in taxes. What Can a Hairdresser Claim on Tax? The reduction of income, as detailed above, is done by claiming certain business related expenses as write-offs. Some people mistakenly think that every expense can be used as a tax claim. This is untrue. Most recognized hair stylist tax write-offs need to be either true business expenses for day-to-day operations, or directly related to helping your business grow. Also keep in mind, even when something is tax deductible, there may be limits on how much you can claim. For example, there is only so much you’re allowed to deduct for automobile use per year, business related entertainment, charitable donations, and even your retirement plan. When it comes to tax deductions for self-employed hair stylists, tools and supplies may be the easiest, and most common of all. These can include things from scissors, shampoo, blow dryers, and smocks, to sinks, mirrors, and styling chairs. Just make sure to keep your receipts, in case you get audited. Car expenses like gas, licensing, repairs, and even the very purchase of your car can be seen as legitimate expenses for just about any self-employed person, including an independent hairdresser. That being said, only the portion of your car use directly related to your work counts. If you prefer to take the train or bus, your expenses are similarly deductible. Keeping up with trends and improving your skills is always good for business. Plus, it’s good for your taxes, with relevant courses and trade magazines recognized as business expenses by the IRS. If your state requires a hair stylist license, feel encouraged by the fact that you can write-off that fee. Similarly, if your city or town requires that you hold a local business license to operate, you can deduct that fee as well. Self-employed barber insurance is something every independent hair stylist needs. And yes, your hair stylist insurance can do double-duty, keeping your business protected against claims, and at the same time, in most cases, serve as a tax write-off. In general, many things related to running your office can serve as tax write-offs. In addition to your rent if you lease a space, these may include your internet connection, electricity, water, a cleaning service, and perhaps even a paint job every now and then. You may be young or new to the field, but rest-assured it’s never too early to plan for the future. In fact, a retirement plan is another one of the great tax deductions for self-employed hair stylists. You get to reliably save for the future, plus you get to write-off a big chunk of the payments. It’s one of the biggest win-win situations out there. While there are plenty of tax deductions for self-employed hair stylists available out there, you’ll need to do your research in order to maximize your returns. Since the savings are potentially quite significant, it may also be worth hiring an accountant to help you out, at least during tax season. As good old Benjamin Franklin said, “A penny saved is a penny earned.” And as a self-employed hair stylist, you certainly want to be earning and saving as much as you can.